What Is It like to Be Married to an Addicted Spouse? This entry was posted in Substance Abuse on December 5, 2014 by Platinum. If your spouse or significant other has been struggling with an addiction to drugs and alcohol, you have likely suffered through immense turmoil and pain alongside your loved one. Watching an addiction unfold from the outside may bring up a variety of emotions, from confusion, to anger, frustration, sadness, and everything in between. What can you expect if your spouse or partner is dealing with addiction, and how can you best support them? Your spouse or partner may begin experiencing several physical ailments as a result of an addiction. This may vary according to the type of addiction but could involve fatigue, nausea/vomiting, weight fluctuations, changes in sleep patterns, and impaired coordination. You may also observe a decline in overall appearance, hygiene, and grooming habits. Someone dealing with substance abuse may have markedly disturbed behavior changes. This may include mood swings, irritability, paranoia, personality shifts, anger outbursts, or lethargy. You may even notice worsening anxiety or depression. You may notice that your spouse or partner has become more withdrawn, isolated, or avoidant of social activities. They may no longer enjoy previous hobbies or friendships, and it may be more difficult to engage with this person socially. In your own relationship, you may find it difficult to communicate, have a discussion, or be intimate together. These may be side effects of the addiction. As finances are used to support a drug or alcohol addiction, it may increase financial strains in your relationship. You may find that funds are missing or unaccounted for or that bills and financial obligations are left ignored. This can be an indicator that money is used to fund an addiction. Addictions are devastating to a relationship, and the unfolding consequences can be painfully felt by both the addict and spouse alike. 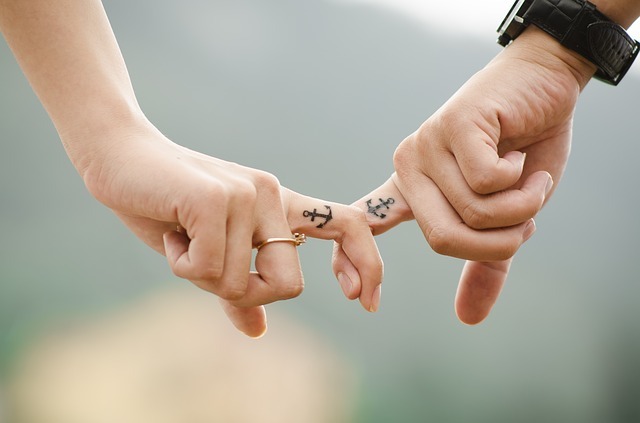 If you are in a relationship with a drug addict, it is important to take adequate steps to ensure that your loved one is receiving the help they need to get better. You can begin by voicing your concern to your spouse and offering your support in a loving way. If needed, recruit the help of a professional or specialist to help you intervene. It is crucial to avoid self-blame and to understand that you cannot “fix” your spouse. Addictions are complex mental health diseases that will require the support of holistic treatment team. There is hope for fixing a broken relationship, and that begins with addressing the root problem: the addiction. Focus on the positive and the things you love about your spouse to help get you through this difficult time period. Remember to take care of yourself as well and seek out support to strengthen you through this process. What are some ways that you have found to encourage balance and peace within yourself while married to an addicted spouse?